New Delhi: Minister of State for Housing, Rao Inderjeet Singh has asked the Haryana government not to dilute provisions of the Real Estate (Regulation and Development) Act as this would deprive home buyers of ongoing projects the benefits of this significant piece of legislation framed to protect their interests. In a strongly worded letter to Manohar Lal Kattar, Chief Minister of Haryana, the minister said, "It is found that certain provisions of the Draft Rules are not in consonance with the letter and spirit of the parent Act. It would deprive the home buyers of ongoing projects the benefit of this special legislation which was passed by the Parliament to ensure the protection of consumers." He further said that it is a settled law that subordinate legislation such as Rules, Regulations, and Schemes cannot be in violation of the principal Act and "any such provision inserted in the Rules would be open to legal challenge and liable to be struck down by the courts". Singh said that the state government was trying to create unnecessary confusion by trying to define ongoing projects, carpet area, common areas and facilities, flat etc. "The term ongoing project has been used only at one single place in the entire Act in the first proviso to section 3(1)….All projects that have received completion certificate prior to the Act coming into force are out of the ambit of the Act. However, those projects that have not received completion certificate as on May 1, 2017, are covered under the Act. Thus, there appears no need to define the term 'ongoing project' in the Rules by the State". The minister asked the state government to examine these and make necessary modifications prior to notifying the final Rules. 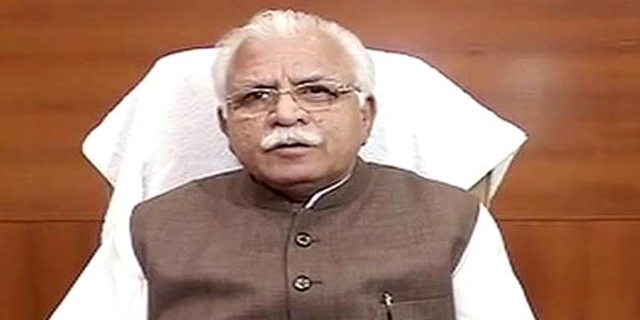 The minister also pulled up the Town and Country Planning Department of Haryana for the delay in notifying the draft Rules and has asked the state government to notify the final Rules soon and set up the Regulatory Authority and the Appellate Tribunal "immediately" to ensure timely implementation of the Act. The Haryana government tweaked the definition of ongoing projects exempting several delayed projects from the purview of the Act. This has left the home buyers of Gurgaon, Dwarka Expressway, and Faridabad, the three top property markets of Haryana worried and anxious. Home buyers have organised several protests and even submitted a memorandum to the Chief Minister seeking his intervention to prevent any watering down of the provisions of the law. They even organised a "havan", a Hindu ritual of offering prayers to the Lord, seeking divine intervention. Haryana should implement RERA as legislated by Center.If it is not implemented in BJP rules states this way then it is a shame.Mr Khatter has disappointed Haryana residents in more than one way.Can he imagine our plight that Parsvnath Developers has not delivered the ParsvnathCity project Elite floors apartments in Dharuhera since 8 years. Please dilute the rules as much as you can, people need to suffer who elected BJP. The minister deserves compliments from the home buyers of Haryana for his righly writting to Haryana CM to follow the rules framed by central govt on RERA.I think Haryana babus are misguiding cm for their own motives to favour the builders.Cheated home buyers have to come on roads to foil the nasty designs of haryana babus and Mr Khatter.Even Mr yogi cm UP is implementing RERA as per central govt. See the builder lobby's influence on CM. FUNDING CIRCLE INC(Fundingcircleplc@yahoo.com)Hello am Nathan Davidson a businessman who was able to revive his dying business through the help of a Godsent lender known as Jason Raymond the CEO of FUNDING CIRCLE INC. Am resident at 1542 Main St, Buffalo, NY.. Well are you trying to start a business, settle your debt, expand your existing one, need money to purchase supplies. Have you been having problem trying to secure a Good Credit Facility, I want you to know that FUNDING CIRCLE INC. is the right place for you to resolve all your financial problem because am a living testimony and i can't just keep this to myself when others are looking for a way to be financially lifted.. I want you all to contact this Godsent lender using the details as stated in other to be a partaker of this great opportunity Email: Fundingcircleplc@yahoo.com OR Call/Text +14067326622..
FUNDING CIRCLE INC(Fundingcircleplc@yahoo.com)Hello am Nathan Davidson a businessman who was able to revive his dying business through the help of a Godsent lender known as Jason Raymond the CEO of FUNDING CIRCLE INC. Am resident at 1542 Main St, Buffalo, NY.. Well are you trying to start a business, settle your debt, expand your existing one, need money to purchase supplies. Have you been having problem trying to secure a Good Credit Facility, I want you to know that FUNDING CIRCLE INC. is the right place for you to resolve all your financial problem because am a living testimony and i can't just keep this to myself when others are looking for a way to be financially lifted.. I want you all to contact this Godsent lender using the details as stated in other to be a partaker of this great opportunity Email: Fundingcircleplc@yahoo.com OR Call/Text +14067326622.. ////..
We used to work together gravinate injection The new measures, designed to put further pressure onPresident Vladimir Putin over Russia’s actions in Ukraine, are amajor broadening of the previous sanctions, which only bannedthe export of high technology oil equipment into Russia. Hi there, its pleasant article concerning media print,we all know media is a wonderful source of data. fieqiq,Thanks for sharing this recipe with us! !